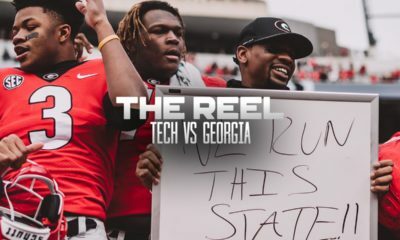 We have uploaded to YouTube a few videos of the celebrations from the Georgia Bulldogs vs. Florida Gators game this past weekend in Jacksonville. 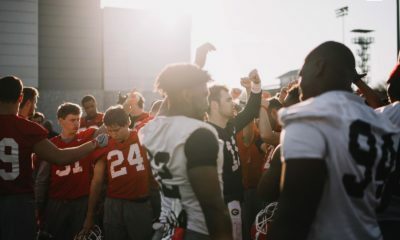 Check out the Dawgs’ first touchdown, the celebration and Urban Meyer trying to copy the Bulldogs. 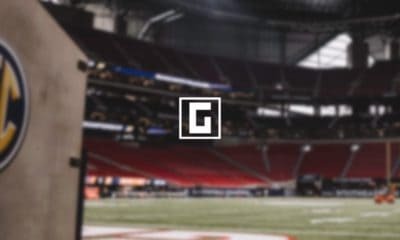 This video is the 1st touchdown by Georgia, scored by Knowshon Moreno. 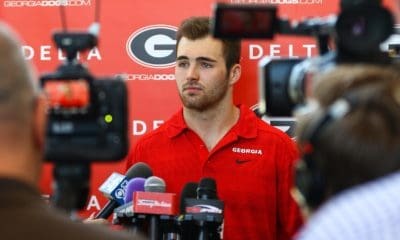 Then the entire Georgia Bulldogs football team intentionally celebrates, drawing two 15-yard penalties. Head Coach Mark Richt ordered the team to celebrate, but didn’t expect the entire team to storm the field. A close up of the replay of Georgia celebrating after the TD. Check out Trinton Sturdivant’s (#77) dance moves! Urban “Crier” Meyer tries to counter Georgia’s celebration by rounding up Tim “Tearbow” and the team and making them jump up and down. Another view of Urban Meyer’s lame attempt to get Tim Tebow and crew to have more spirit than the Georgia Bulldogs!